Start off your visit on the 2nd (Sun): get up close and personal with brilliant marine life at Sea World Theme Park. Get ready for a full day of sightseeing on the 3rd (Mon): find something for the whole family at Warner Bros. Movie World, then enjoy the sand and surf at Surfers Paradise Beach, and then find something for the whole family at Infinity Attraction. 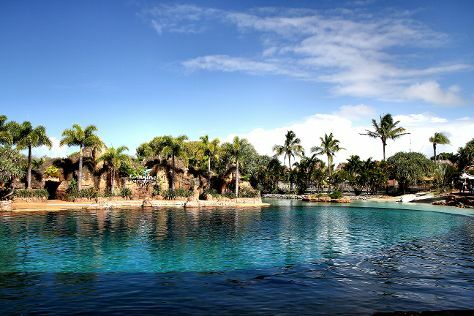 For reviews, more things to do, other places to visit, and other tourist information, you can read our Gold Coast trip itinerary planning site . Singapore, Singapore to Gold Coast is an approximately 11.5-hour flight. You can also do a combination of flight and train. The time zone changes from Singapore Time to Australian Eastern Standard Time (Queensland), which is usually a 2 hour difference. Traveling from Singapore in June, expect Gold Coast to be colder, temps between 24°C and 13°C. Finish up your sightseeing early on the 3rd (Mon) so you can travel to Sydney. 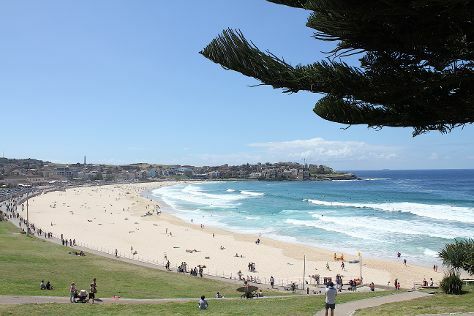 Bring the kids along to Bondi Beach and Manly Beach. There's lots more to do: get up close and personal with brilliant marine life at Sea Life Sydney Aquarium, take a stroll through The Rocks, see the interesting displays at Australian National Maritime Museum, and see a show at Sydney Opera House. To see where to stay, photos, reviews, and tourist information, read our Sydney holiday maker tool . Fly from Gold Coast to Sydney in 3.5 hours. Alternatively, you can do a combination of train and flight; or drive. In June in Sydney, expect temperatures between 21°C during the day and 11°C at night. Wrap up your sightseeing by early afternoon on the 8th (Sat) to allow time for travel back home.